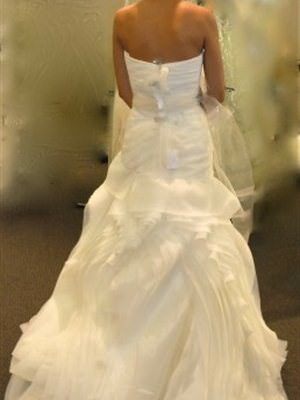 Gorgeous White by Vera Wang wedding dress. This gown is a US size 2/AUS size 8. This dress has only been worn once and has been professionally dry cleaned with receipt. No alterations have been made on the dress. This dress comes complete with a matching horsehair bow sash, along with the garment bag. It is universally flattering on just about any body type. 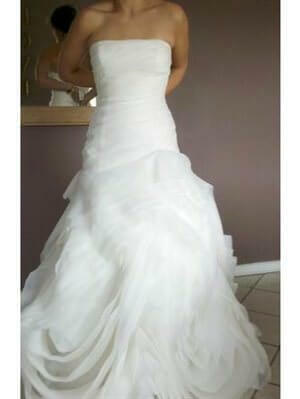 Please feel free to ask questions or if you live in Perth, I'd be more than happy to let you try on the dress as well.